If you've recently been injured after slipping on a city sidewalk, you may be wondering who is at fault and whether or not you have a case. After a slip and fall injury on a sidewalk, there will be many questions and it can be difficult to determine the responsible party. 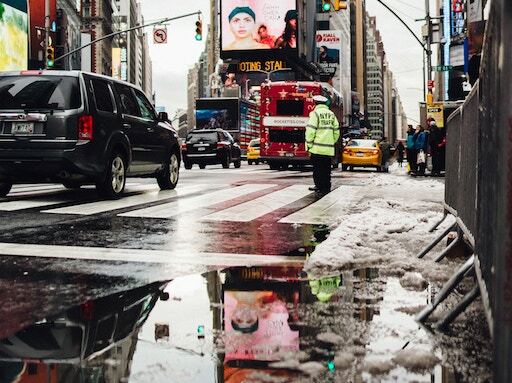 According to New York City Administrative Code, New York City property owners are responsible for injuries caused by a slip and fall on a neglected sidewalk. Thus, it is the property owners and not the city that need to be vigilant in keeping up with regulations and maintenance regarding their sidewalks. In order to have a legitimate slip-and-fall case, you must be able to prove that the owner of the sidewalk was negligent in its care. This means that your injuries must be directly linked to the owner's lack of proper sidewalk maintenance. Proving negligence in a slip-and-fall case can be difficult, but with the right legal help and documentation, it can be done. One of the best steps you can take is to document the state of the sidewalk at the time of the incident; take pictures of any cracks or uneven surfaces that caused you to slip. Navigating a slip-and-fall case can be challenging, so having an experienced attorney on your side is always a good idea. If you've been injured in a sidewalk slip-and-fall here in NYC, the team at Smiley & Smiley LLP is here to help. Contact us to schedule your free case consultation and find out more about what we can do for you.